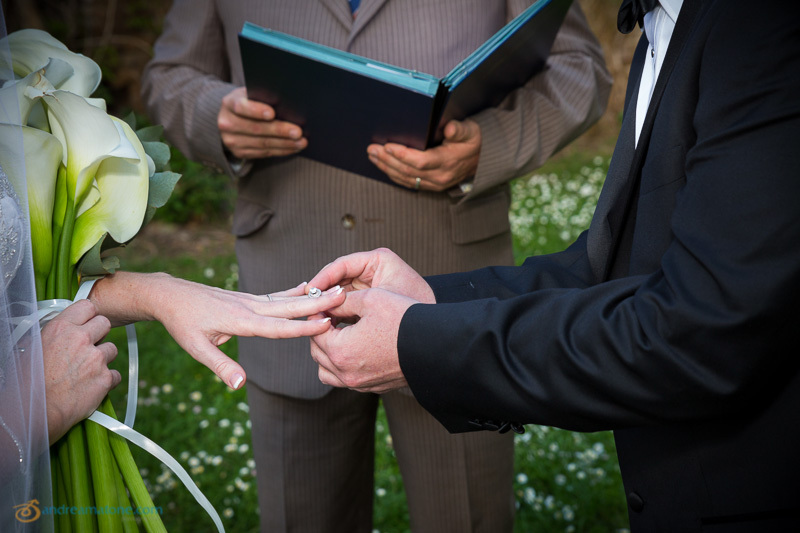 What a beautiful wedding in Italy this was! 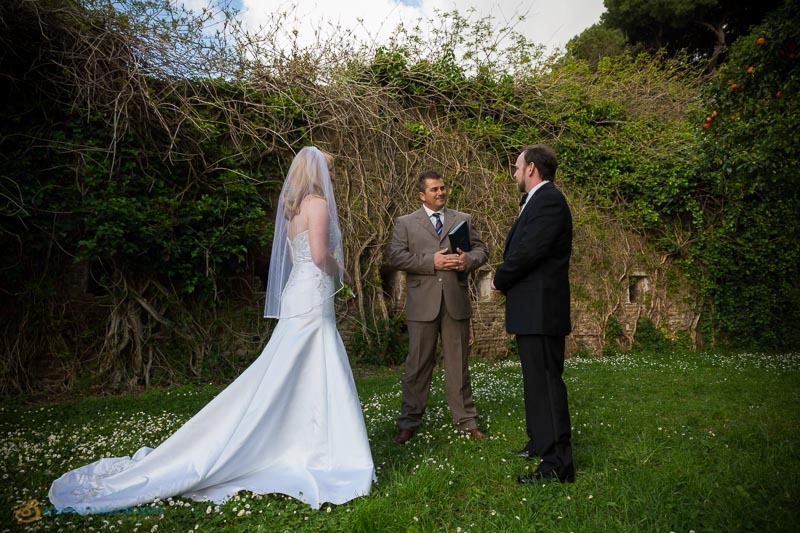 Celebrated at the Giardino degli Aranci with a wonderful Symbolic wedding in Rome. 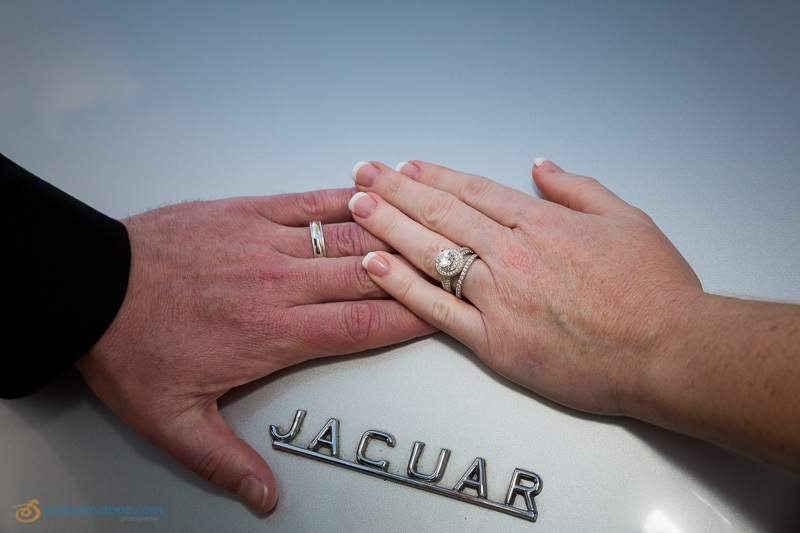 The photo service started with a car pick up from the beautiful luxurious Hotel Villa Duse in Rome Italy. We had to take out a little bit of time to shoot some pictures here both inside and outside. Then we headed for the car. And what car it was! A vintage Jaguar MKII. 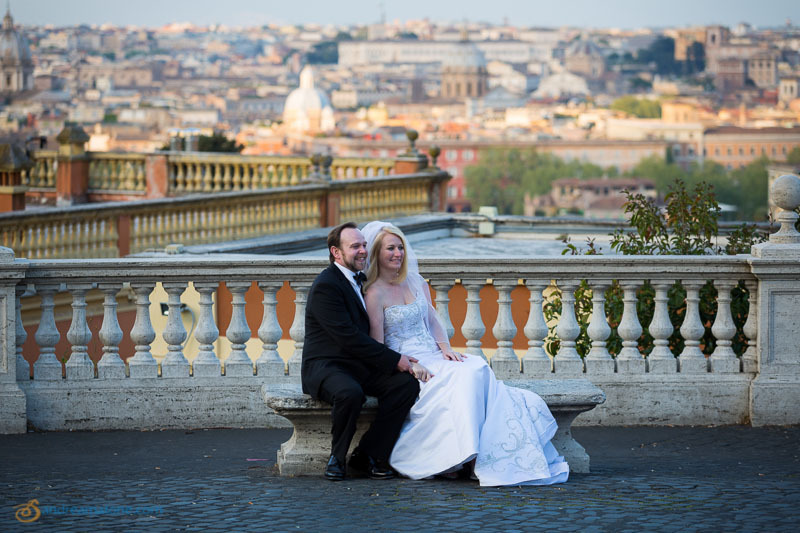 The wedding took place at the Giardino degli Aranci which offers really great views over the city. 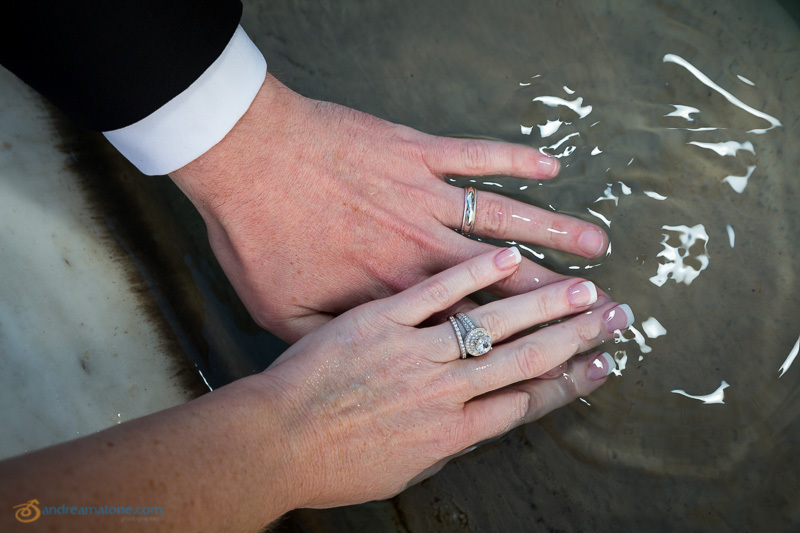 As well as different intimate spots where to have the symbolic ceremony. Wonderfully executed by our collaborating celebrant with a touching ceremonial. We took some nice pictures afterwards in the gardens which provide many great places for portrait photography. The session took place at the Roman Colosseum. 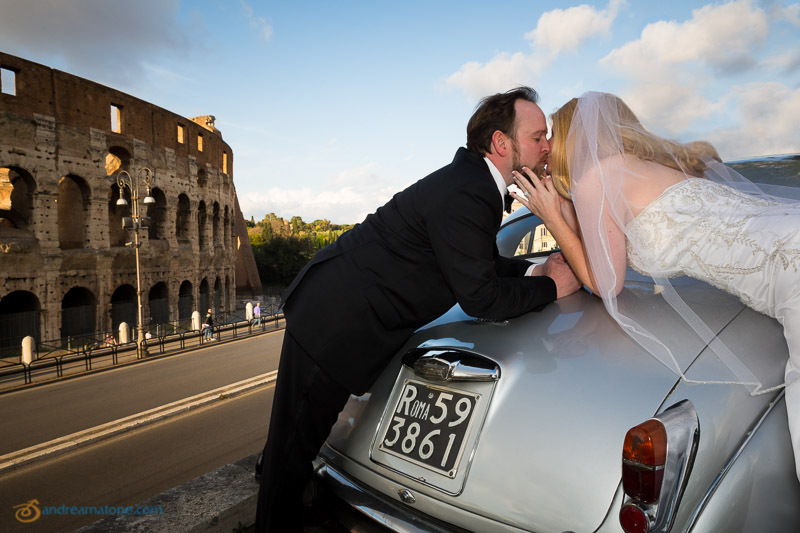 We drove up the little hill in front of the Colosseum where we were able to set-up a mini shoot which included the car in the photos as well. Then we had a little more time available for one more location and we decided to go to the Gianicolo water fountain. Where we concluded the photographer session with different views and prospective. Thank you for the wonderful time and congratulations! 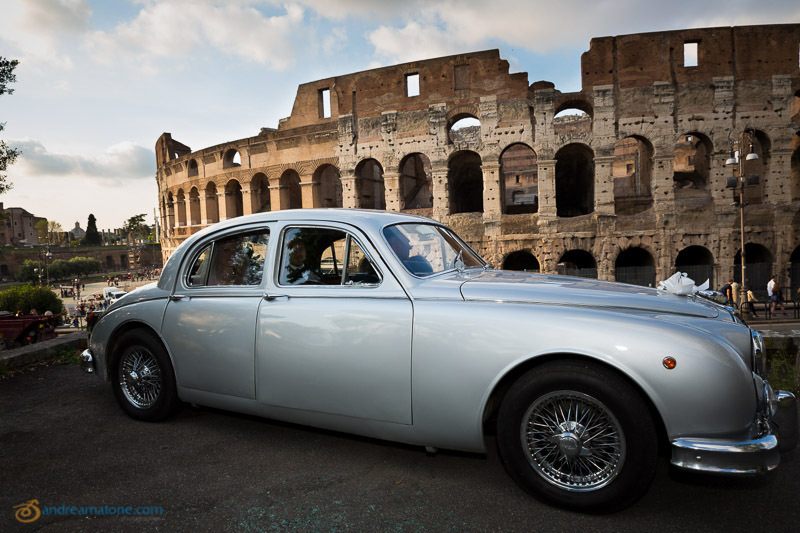 The Vintage Jaguar MKII courtesy of WheretoRome car service. 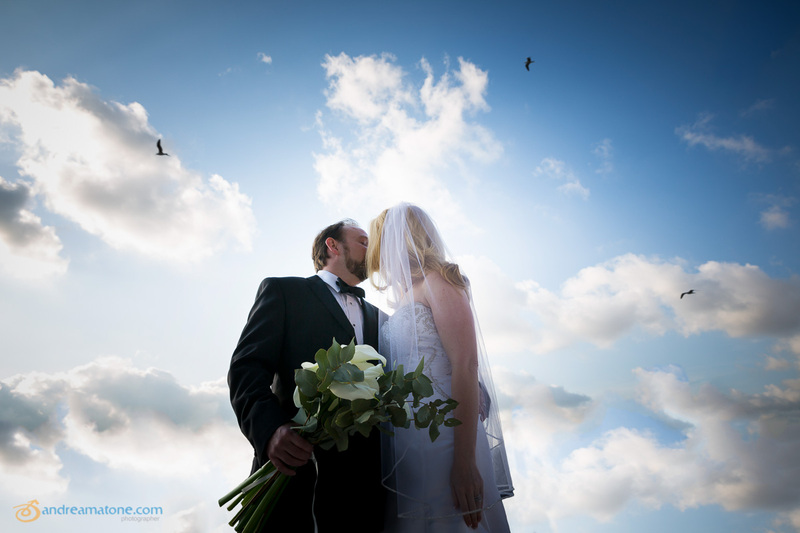 A wonderful destination wedding photographed by Andrea Matone in Rome. 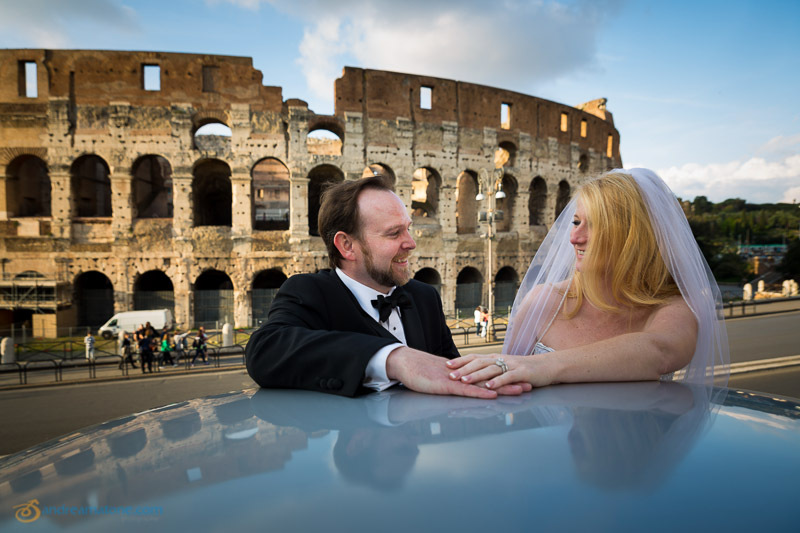 With a symbolic marriage celebration taking place at the Giardino degli Aranci and pictures taken at the roman Colosseum and the Gianicolo water fountain.